* Use of LCM for clonal analysis, in carcinoma analysis, to assess development, in complex tissue, in pathology, gene discovery, and more. Laser Capture Microdissection (LCMD) and its Applications in Genomics & Proteomics. Going in vivo With Laser MD (LMD). Use of LCMD to Selectively Obtain Distinct Populations of Cells for Proteomic Analysis. Optimized Tissue Processing and Staining for LCMD and Nucleic Acid Retrieval. Fluoroscence in situ Hybridization of LCM-isolated Nuclei from Paraffin Sections. Immunoblotting of Single Cell Types Isolated from Frozen Sections by LMD. Noncontact Laser Catapulting: A Basic Procedure for Functl' Genomics and Proteomics. Methacarn: A Fixation Tool for Multipurpose Genetic Analysis from Paraffin-Embedded Tissues. Use of LCMD for Clonal Analysis. Application of LCMD to Proteomics. LCMD of the Mouse Intestine: Characterizing mRNA and Protein Expression, and Profiling Intermediary Metabolism in Specified. 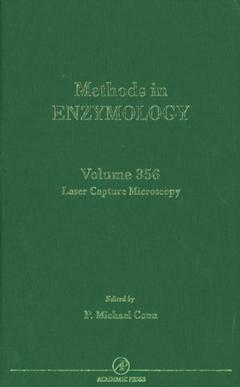 Use of Laser Capture Microscopy (LCM) in the Analysis of Mouse Models of Human Diseases. Use of LMD in Complex Tissue. Assessmt of Clonal Relationships in Malignant Melanomas. Comp. of Normal and Tumor Cells by LCMD. Analysis of Folliculostellate Cells by LCMD and Reverse Transcription-Polymerase Chain Reaction (LCM-RT/PCR). Analysis of Specific Gene Expression. DNA Fingerprinting from Cells Captured by LMD. Single Cell PCR in LCM. Assessmt of Genetic Clonality in Tumors using LCMD. Gene Mutations: Analysis in Proliferative Prostatic Diseases Using LCMD. Use of LCMD Generated Targets for Hybridization of High-Density Oligonucleotide Arrays. Single Cell Gene Mutation Analysis Using Laser-Assisted MD of Tissue Sections. Methylation in Gene Promoters: Assessmt after LCMD. Biochemists, cell and molecular biologists, geneticists, biomedical researchers, and microbiologists.